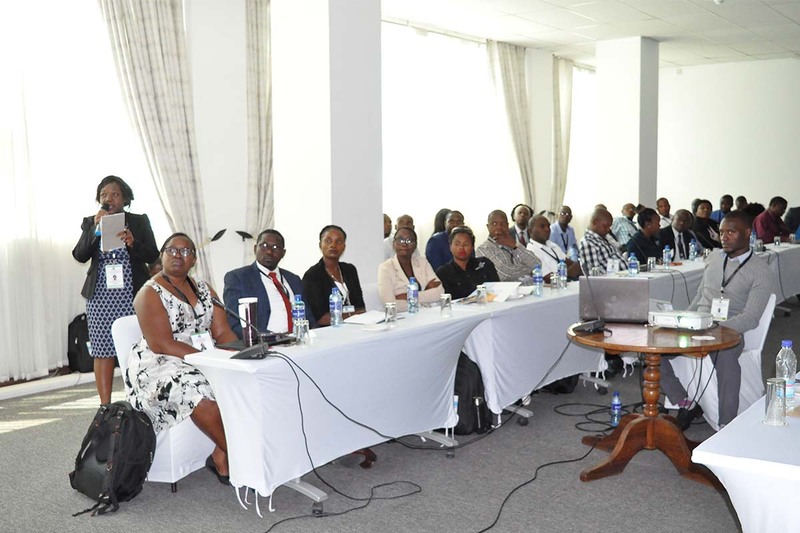 BORDA Zambia took part in the first-ever Zambia Sanitation Summit hosted by the Ministry of Water Development, Sanitation and Environmental Protection with support from cooperating partners, UN agencies and NGOs/CSOs. The Summit was held from 19 to 21 November 2018 under the theme “Collective Action for Sustainable Sanitation and Hygiene Services for All”. The Honourable Minister of Water Development, Sanitation and Environmental Protection, Dr. Dennis Wanchinga officiated at the event and pledged the government's commitment to improving the sanitation situation in Zambia through sustained political goodwill, stronger partnerships, better financing and a focused approach to sanitation. Cooperating partners such as the African Development Bank (AfDB) and the United Nations Children's Fund (UNICEF) pledged more support to the Zambian WASH sector in order to improve sanitation coverage in the country. According to the recent Joint Monitoring Programme (JMP) conducted by the World Health Organisation (WHO) and UNICEF, Zambia’s sanitation coverage stands at 31% on average, with 19% coverage in rural areas. Zambia aspires to achieve 90% universal sanitation coverage by the year 2030, as outlined in the Seventh National Development Plan 2016-2021 and Zambia Vision 2030. The summit was attended by cooperating partners including the German Society for International Cooperation (GIZ), SNV Netherlands Development Organisation, AfDB and WaterAid as well as UN agencies including WHO and UNICEF. 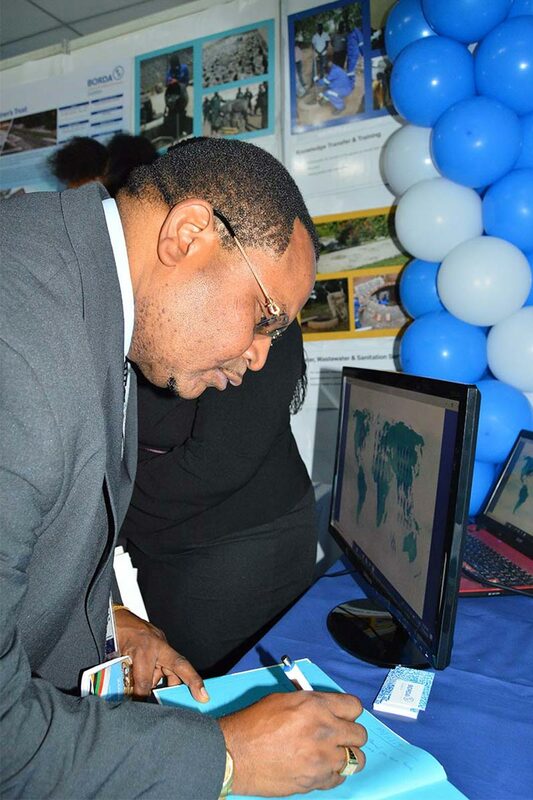 Heads of government departments, NGOs/CSOs, traditional leaders, commercial water utilities, regulatory bodies, local authorities and academicians were also in attendance. The summit coincided with the commemoration of World Toilet Day 2018, where the Government of the Republic of Zambia with the support of UNICEF launched the Open Defecation Free Strategy (ODF) 2030 for Zambia. 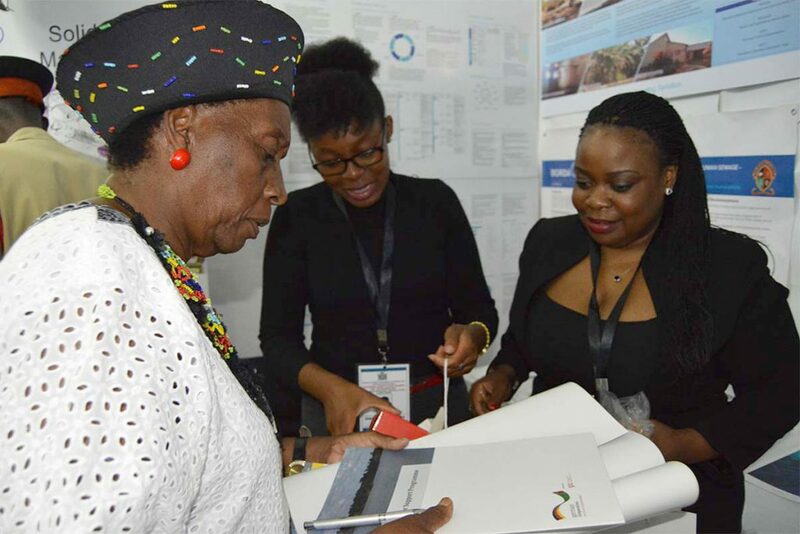 BORDA Zambia, along with other WASH sector organisations, was part of the National Organizing Committee instituted by the Ministry of Water Development, Sanitation and Environmental Protection to spearhead the organisation and management of the summit. BORDA also sponsored a televised talk show broadcast by Zambia National Broadcasting Corporation (ZNBC) which featured Bishop Ed Chomba, the Permanent Secretary in the Ministry of Water Development, Sanitation and Environmental Protection. 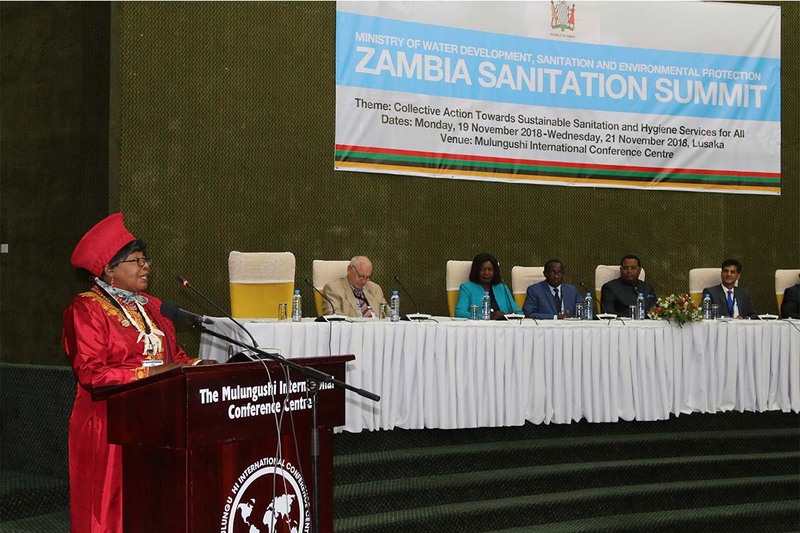 The programme highlighted the objectives of the sanitation summit as well as the sanitation situation in Zambia. 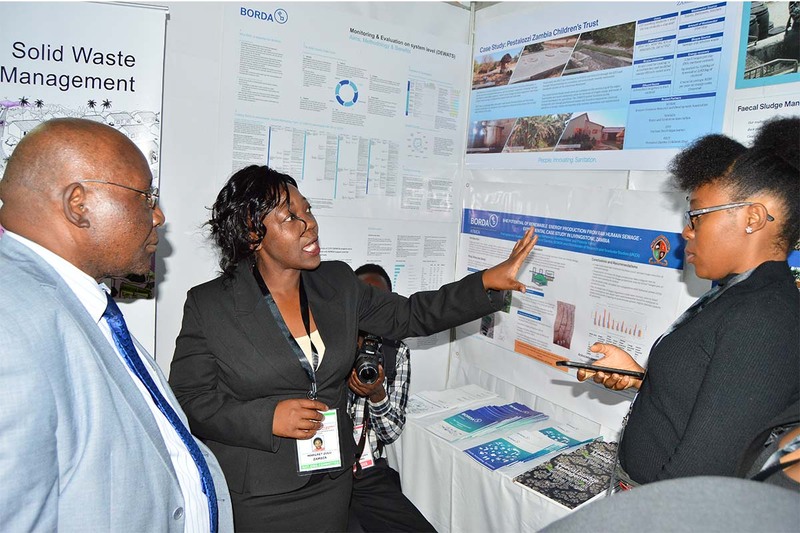 At the summit, BORDA Zambia had an exhibition booth showcasing its approaches in providing sanitation solutions. BORDA Zambia Social Coordinator Margaret Zulu made a presentation entitled “Factors affecting acceptability in implementing sanitation projects - A case study of the Kariba Pilot Sanitation Project in Ndola". She identified a well-defined community contribution strategy, political goodwill and internal cohesion within the implementing organisation as some of the factors that can contribute to project acceptability. “BORDA, job well done for standing with us in the Sanitation Summit." “A worthwhile project [the Pestalozzi School DEWATS system] which needs implementation in Chisamba District and my Chiefdom. Well done!" Community acceptability is not just about the goodwill of community members to support successful project implementation. It’s the part beyond the implementation period which results in project sustainability.